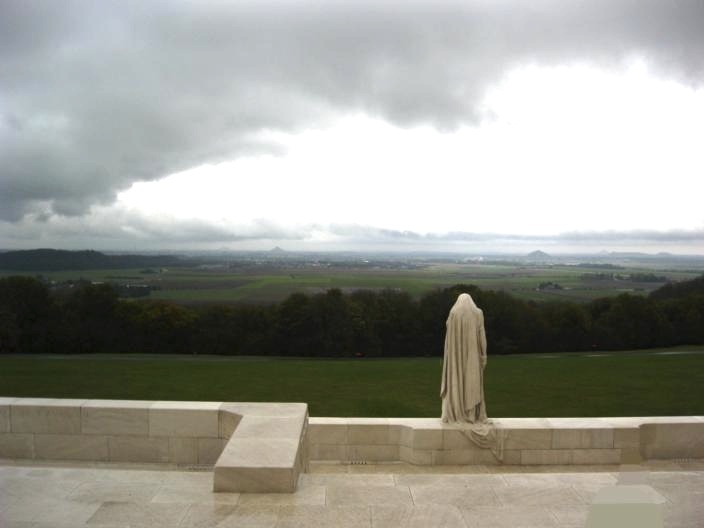 This weekend Stobby and the crew drove 14 hours (through the Champagne region) to attend a Memorial Day Ceremony at Vimy Ridge in the Nord-Pas-de-Calais region of France. 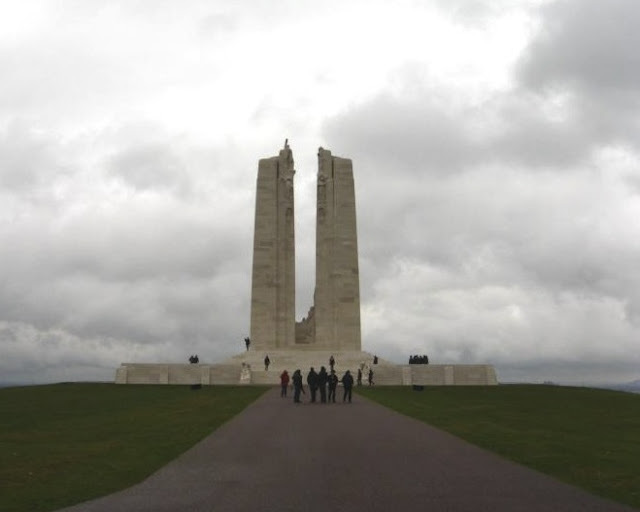 The Battle at Vimy Ridge took place during World War I and the successful recapture of the ridge marked a defining moment for the country of Canada. 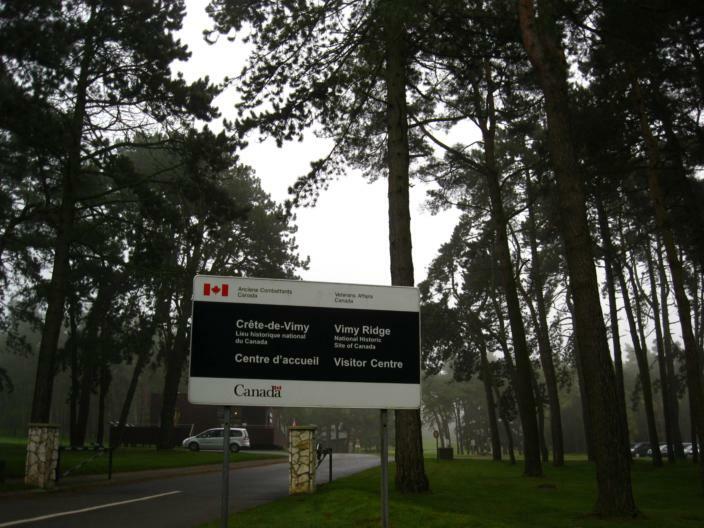 The area surrounding the ridge was donated to Canada by the French government in gratitude for their service during the war. It's surrounded by Maple and Pine trees making it hauntingly beautiful during the fall. There are a surprisingly large number of joggers as well. 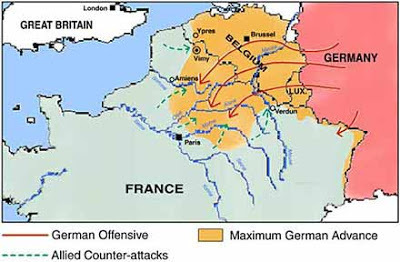 The Vimy Ridge monument is a towering pylon of 6000 tonnes of Croatian limestone that overlooks the Douai Plains below. Designed by Walter Seymour Allward, it took eleven years to build. 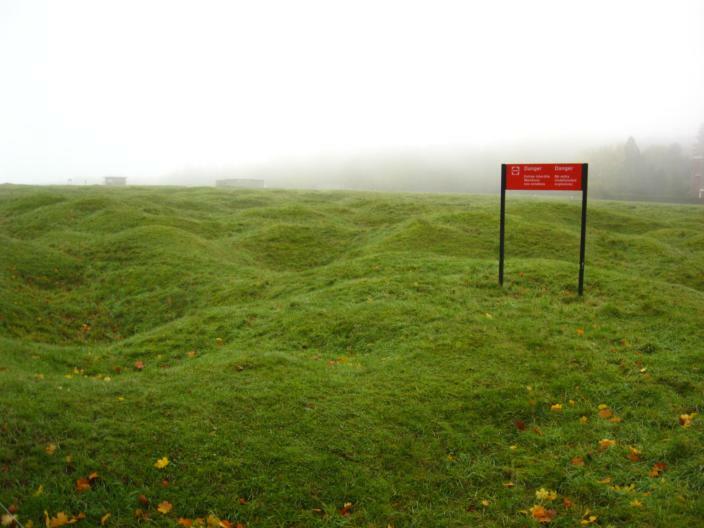 Surrounding the memorial are restricted areas containing old trenches and craters with unexploded munition still around from almost one hundred years ago. They use sheep to cut the grass. Despite the long drive, cold temperatures and torrential rain, the site, and especially the cemetery where thousands of young adults lay, is a reminder of the unspoken obligation we, the Free, have to do something great with our lives. What beautiful pictures to go along with a valuable history lesson. I wonder how many people know there's a wee bit of Canada in France? I sure didn't. Thanks for the info. I love learning about this kind of stuff.